Yvonne Peacock, leader of Richmondshire District Council. Farmer's daughter Yvonne Peacock combines tackling local housing shortages as a council leader in rural North Yorkshire with helping to run a tea room in the Dales village where she grew up. Rob Parsons went to meet her. Looking at rural Richmondshire in North Yorkshire on a map it's easy to see why Yvonne Peacock, who for the last four years has led the local council, describes it as a "district of two halves". The western side within the Yorkshire Dales National Park takes in some of the settlements best known to tourists, including Hawes, the home of Wensleydale cheese, quaint villages like Reeth and and natural wonders like Aysgarth Falls. Meanwhile the eastern side of the district, straddling the A1M motorway, is home to its more thriving towns, Richmond, Colburn and Leyburn, as well as the world's largest British Army garrison, Catterick. The economic outlook, at least for the short term, contrasts starkly either of the divide. 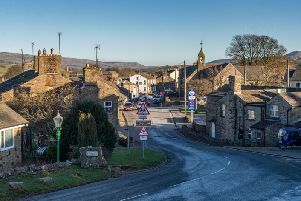 While the council's 'growth area' to the east is seeing plenty of new homes being built and the prospect of jobs on the way, the ageing population and high house prices in the Dales villages are threatening the viability of local communities. Born and raised in one of these Dales villages, Bainbridge, with a family history going back to the 1600s in the local area, Councillor Peacock is as well placed as anyone to identify the issues facing it. A farmer's daughter, she married a local man who ran a solid fuel merchants with her father and then took over the business herself when her husband passed away. It was her efforts to stop the village school going from three classrooms to two that got her into local politics, leading her to become a Richmondshire district councillor in 1999. Made group leader of the local Conservatives in 2015, she took over the leadership of the council later that year when the Tories defied the district's previous political history by winning a majority of seats for one party for the first time ever. Speaking to The Yorkshire Post in Leeds, where she joins other local leaders for a conference dedicated to region-wide devolution, she talks of running an "extremely efficient" authority, with council tax rising by just 1.7 per cent this year and only £54,000 taken out of its reserves. Despite this, like a number of other local authorities Richmondshire District Council still needs to make savings and at this May's elections will go from 34 councillors down to 24. Coun Peacock's main focus is on growing the area's economy, and with the recent A1M upgrade and the prospect of thousands more residents arriving at Catterick Garrison when it expands in the coming years, she says the district is "open for business". But unlike in the growth area, housing numbers in the district's rural areas are below target. "I sometimes think it's a district of two halves," says Coun Peacock. "The main problem we have in the Yorkshire Dales National Park area is we have got second homes, holiday cottages, which we need, we have a lot of retired people, we have an older population. "The problem we have is that the actual workforce, especially the 18 to 44-year-olds, are not there, it is going down and down and down. That is the big problem. They can't afford to live in the Yorkshire Dales National Park area, the house prices are high, wages are low, so what have you got? You have to leave and move out." Citing an example of a couple who moved out of the district to find a home with more space for their children, she says: "It is this sort of movement that is not good." A project, run with town hall leaders in neighbouring Craven as well as Eden and South Lakeland in Cumbria, aims to tempt people to move to the Dales and Lakes, with their high quality schools, clean air and low crime rates. And as well as getting more affordable, good quality homes to buy, she says getting superfast 5G broadband in place across the Dales, in the villages as well as the bigger towns, is key to encouraging families and businesses to move to the area and stay long term. A related concern is the future of the local Friarage hospital, which will no longer take critical care patients from the end of this month due to a shortage of suitably qualified medics willing to work at the site. Coun Peacock describes the decision, which will mean severely ill patients in the Dales will have to travel to Darlington Memorial or James Cook Hospital in Middlesbrough, as part of a "drip-drip" of services being degraded at the Friarage which has been going on for years. It comes at the same time as a decision by NHS commissioners to end funding for an enhanced minor injuries service provided by medical centres across large parts of North Yorkshire. "Soon after I became a councillor, they withdrew the out-of-hours cover, and that was the start. The problem is the distance, having to go all the way to the Friarage anyway and then having to go to the James Cook. Most of our residents are quite happy to go to the Friarage, they know the road, it is easy to do, but as soon as you have to go to James Cook, the traffic, they are not used to it, it worries a lot of older people." Coun Peacock combines her leader's duties of meetings and phone calls with her work in the family business, including a tea room in Bainbridge she runs with her two sons and their wives, and doing the school run every day. One of the local leaders who backed the One Yorkshire devolution deal to transfer powers from Whitehall to a region-wide mayor, Yvonne Peacock still hopes the authorities involved can work together. 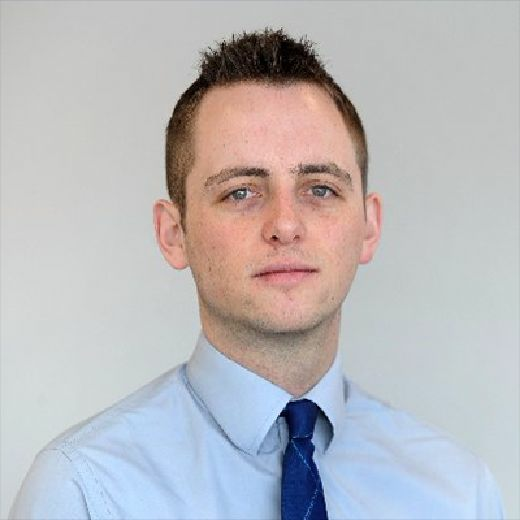 The Government last month rejected One Yorkshire as not fitting its devolution criteria, and at this month's conference in Leeds Minister Jake Berry suggested smaller city deals for the Leeds City Region, North Yorkshire and Hull and the Humber. Coun Peacock said: "What we are saying is, if that has to be at the beginning, now, that could be looked at, but whatever happens we still have to have the vision to come together and go forward." 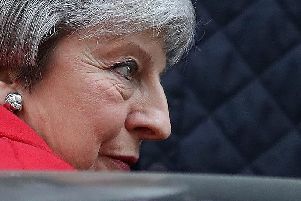 Citing the success of region-wide tourism agency Welcome to Yorkshire, she said she hoped similar arrangements could be put in place even if smaller deals are agreed first.